I think On the Impossible Past is a really important album that everyone should know about. That's how I answer myself when I ask myself why I feel the need to do this review, when the album came out 4 months ago on a big-time label (Epitaph), and, for a period of weeks if not months, had the highest new release metascore on Metacritic. Hell, I've owned this album for months, listened to it dozens of times. My wife is obsessed with it, and it would get her vote for AOY if there were universal suffrage in this principality. Yet no one else I know knows about this record. Maybe that means I hang out with a bunch of stiff honkies, and despite my generally malevolent disposition toward white people, the observation is not entirely off-base. But do this -- go to Pitchfork (who are, self-styled at least, unstiff honkies) and type Menzingers into their search field. You get "sorry, no results match your query." Wha? I'm all for the idea behind this blog's mission to write only about music we like. There's so much great stuff being released every day that it doesn't make any sense to me (or to my friends who write here) to spend time writing about music that we consider crappy for one reason or another. What's the point? To try to influence you not to buy it? We ain't Consumer Reports. The flip-side of that, though, is that I worry I run the risk of sounding like a teenage cheerleader when I get to fawning over this or that album -- to the point of abandoning any critical credibility. I mention this here because I really do think this Menzingers album is important in a way that other albums I've reviewed may not be. We need to try to keep them around and writing and playing for a long time. The Soul Corner: David Ruffin "My Whole World Ended"
We took the kids to a big concert this week and the opening act was an up and coming young neo-soul singer who shall remain nameless due to the philosophy of our friendly little blog here. But I did start thinking about the genuine article - the vocals, persona and even fashion sense of a great Motown artist that this no doubt well intentioned young fellow was trying so hard to imitate. As long time readers of WYMA know, I'm quite fond of the music of San Francisco's PreTeen. The band is on these pages again to share some songs that have popped up since the February release (our review here). The stuff has a great, relaxed, lo-fi vibe that the band calls "slop pop". It is good summer listening. Future of What plays electronic-based rock with all kinds of keyboard sounds and delightful female lead vocals. It's reminiscent of some of the early MTV-era electronic pop you may recall from artists like Berlin, and some of the instrumental work is definitely in the vein of European dance rock. 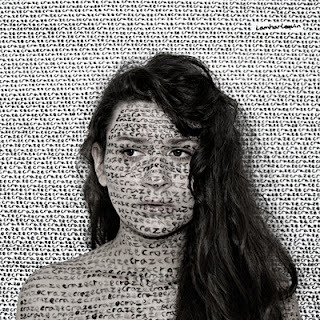 Their 4-song EP, Moonstruck, is presented as the precursor for an album later this year and it's pretty catchy stuff. The first single, "I Wait For You" was previously posted on WYMA here. That and two other songs are pretty sprightly, but they stretch out on track 4, "Party in Heaven" and hint at some of the, maybe darker, Euro-influenced synth-pop possibilities here. I'm fairly impressed, considering this band was just formed in January of this year and recorded these songs in March... looking forward to hearing more. We've featured I Am Harlequin, which is German artist Anne Freier, on WYMA previously and really enjoy her singing style and presence. And here is a link to the original version of that track on Soundcloud. On that page, you can see how to buy the music on iTunes. As I observed when I first heard her last year, one of her best features is the variety in song structure... but the vocals are impeccable throughout. Ty Segall is a stalwart of the Bay Area garage rock resurgence. He also is one of the hardest working and prolific musicians on the scene today. Nevertheless, Slaughterhouse is a milestone of sorts as it is the first recording using his touring band. The result is not only a garage rock gold nugget, but a contender for the noisy rock album of the year so far. Fans of Segall and his live band know what to expect (only more so). For those less familiar, you should know that what you get will be fuzzy, distorted guitars, howling vocals, and big garage riffs. 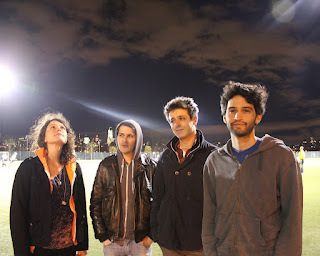 They are psych-pop songs at their core, but while the pop elements are very close to the surface of some songs, in other songs the pop is fully enveloped by the band's maelstrom. It occurs to me that Slaughterhouse is the best possible advertisement for those considering attending a live performance of this outfit. And by the way, if you like "Muscle Man", you will want to hear the two following album tracks, "That's the Bag I'm In" and "Diddy Wah Diddy". To recap, we have heavy sounds, feedback, distortion, vocals at the breaking point and hooks surfing the whole thing like locals on big wave day on Oahu's North Shore. I haven't had this much fun with a rock album in a very long time. Ty Segall Band is Ty Segall, Mikal Cronin, Charlie Moothart, and Emily Rose Epstein. Slaughterhouse was released this week by In The Red Records. I've learned several things in blogging about music this year, and one of them is to pay attention when Matinee Recordings advises me of a new release. 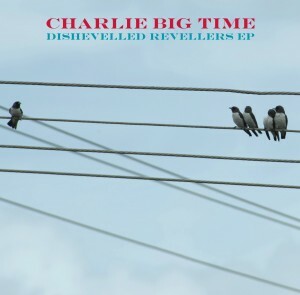 In this case, the album is Dishevelled Revellers -- four tracks of superb guitar pop from Bolton, UK's Charlie Big Time. This is the kind of early Creation Records style pop that, for some of us, never goes out of fashion; particularly when it is this well done. But when an EP leads off with my new favorite song, I know I'll give the entire EP a chance. Listen for the vocal hook in the chorus just past the 1 minute mark -- I think you'll agree that it is high quality, and the sort of thing that is responsible for the early demise of many innocent "replay" buttons. Chris Tiplady and Matt Pendlebury released the band's first EP on Cloudberry Records in 2007. In the intervening years they released an LP and placed songs on some indie compilations. For Dishevelled Revellers, Chris and Matt invited Beth Arzy of Aberdeen and Trembling Blue Stars fame to add her vocal abilities to the group. The wonderful result is top-flight songwriting and polished performances, with Beth providing a bit of sunshine to the lightly melancholic arrangements. Dishevelled Revellers is released today, and because I can only assume that this post has convinced you that the EP is worth your time and money, I've provided the Matinee and Amazon links below. I regret to begin this review on a sad note, but we send our condolences to the family and girlfriend of Echo Lake's drummer, Pete Hayes, and to Pete's bandmates. Peter died last Thursday and we learned of it on Sunday. So the release of this album, which should be a time of great joy for the band, undoubtedly is colored by sadness. Imagine My Bloody Valentine infused with affecting female vocals and extra attention to melody. A nice idea, right? Well, London's Echo Lake think so as well, and have executed it to great effect on Wild Peace, a dream pop album with a distinctive aggressive edge. The result is an impressive debut, brimming with confidence and purpose and showcasing an excellent set of songs. The title track, "Wild Peace" is one of several beautiful slower songs that highlight Linda's vocal powers. Other songs, such as "Another Day", are chameleons, shifting between girl-group sweetness and a shoegazey sonic tapestry. If this is your introduction to the band, don't feel behind the times. At this point, their fan base is largely in the UK. However, I expect that to change with Echo Lake. I expect that more than a few tracks here will compete for spots on your summer soundtrack. Then you can relax and watch this band get big over the next few years. The members of the band are Thom, Linda, Pete (R.I.P. ), Kier, and Steve. Echo Lake is out in the UK on 6/25 on No Pain In Pop and in the US on Slumberland on 6/26.